A new report from Kotaku suggests that Dragon Age 4 was originally going to be smaller than Dragon Age: Inquisition "but much larger in player choice, followers, reactivity, and depth," according to one anonymous BioWare dev. It was reportedly rebooted during Anthem's lengthy development, and the version of the game that emerged is said to lean more into the "live service" online elements which EA-published games have become known for. However, many anonymous devs said it won't be "Anthem with dragons." "The idea was that Anthem would be the online game and that Dragon Age and Mass Effect, while they may experiment with online portions, that’s not what defines them as franchises," one developer told Kotaku. "I don’t think you’ll see us completely change those franchises." The report adds that Dragon Age 4's alleged multiplayer elements could be quite different from Anthem's shared world. Discussed features reportedly include player-controlled companions with drop-in support and evolving global questlines influenced by every player's choices, not just your own. BioWare general manager Casey Hudson previously said that despite "live" elements, Dragon Age 4 will still be story- and character-focused. "Too early to talk details," he said in a January 2018 tweet, "but when we talk about 'live' it just means designing a game for continued storytelling after the main story." This also lines up with a recent blog post from Hudson regarding Anthem, in which he affirmed that "[BioWare's] upcoming games will be different from Anthem." 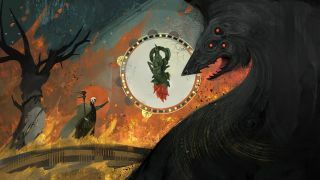 Whatever it is, Dragon Age 4 is still very early in development, and many BioWare devs were quick to point out that it will likely see further drastic changes in the future. "Dragon Age games shift more than other games," one developer said. Another said that "I know it's going to change like five times in the next two years." Whatever form Dragon Age 4 takes, it would do well to build from the epic, extravagant (and slightly unwieldy) Inquisition.